Miche Demi Bag Shell with a tuxedo front? You bet! 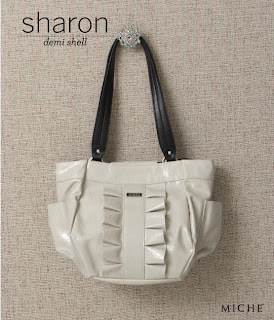 A delightful front ruffle gives the Sharon Shell for Demi Bags a real touch of class, and its creamy eggshell color and semi-gloss pebble-print faux leather allows this Shell to complement just about any outfit. Who says tuxedos are just for men?